I am normally not a sweet wine person. I used to drink a ton of it when I was younger and first beginning to drink wine. Now, it has to be a really special flavor for me to pick up a bottle of sweet white wine. This Hive & Honey Riesling really caught my attention. First of all, the packing and the name are just so eye catching on the shelves. This bottle just seems like it would be the perfect spring and summer wine to bring to a housewarming party or a get-together with some family. This wine is out of the central coast of California, and is a newer bottle from their 2015 Riesling. Tasting Notes: Right away, there are wonderful notes of pineapple and pear that really play well with the sweet and tart aspects of this wine. There is a hint of acidity from the pineapple flavor, with the sweetness added to the fruit filled layers. I have never had a wine with pineapple notes, and I have to admit that this may be one of my new favorite sweet whites, especially for the summer months. 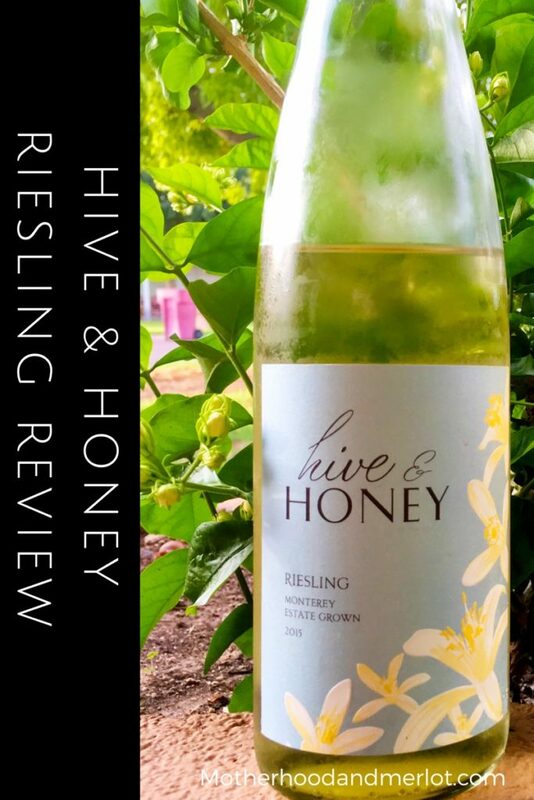 Overall, I would give the Hive & Honey Riesling 4.5 out of 5 stars. It has a really nice balance of flavors. It’s sweet, while not being overly sugary and syrup-like as I find some white wines can be (mostly moscato and some rieslings). The balance of sweet and tart gives it a nice fresh, but still sweet flavor. What has your favorite wine discovery been this year? Check out more of our wine reviews here. I am not usually a fan of sweet wines, but this looks like a fun one to try! I used to LOVE Riesling! Sounds fab for a nice hot summer night! What a fun name! I can see why you decided to give it a try. It would make a great hostess gift. I’m a red wine gal myself! I’m always looking for sweet white suggestion though since know one I know likes dry reds. I have to keep some sweet stuff stocked for company.